Social Security Disability Insurance (SSDI) is a challenging and complex system to obtain benefits under in your case. There are a number of requirements and regulations that have to be followed in order to secure the necessary medical coverage and compensation to cover your disability. 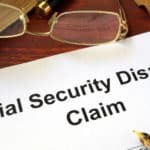 Filing for SSDI is also the most difficult part of receiving coverage, which can be made easier with the help of a Milwaukee SSDI lawyer. First, it is best to understand exactly what SSDI entails. SSDI is a program that provides compensation to people that have a disability. There are certain disabilities covered under the program and your SSDI attorney in Milwaukee, WI, will help you understand if you will receive coverage. Under SSDI, you will receive medical benefits as well as monetary compensation for those that need assistance. It is frustrating to understand what your total benefits will be under the SSDI program, but a disability lawyer in Milwaukee can assist you with the filing process. There are a few different ways that you can go about applying for SSDI in Milwaukee, WI. You can apply in person at your local Social Security office. Here, you need to make an appointment with the Social Security office by calling them directly. Also, calls can be made 24 hours a day, and there is assistance for hearing impaired individuals. You also have the option to apply online for SSDI benefits. Applying online may be an easier process as there is no need to make a visit to your Social Security office, you just need an internet connection. On the Social Security Administration’s website, you will be able to access and complete the necessary forms for SSDI. It is recommended that you apply for SSDI as soon as you become disabled. The process of receiving SSDI can take as long as three to five months to process your application. The sooner that you apply, the sooner you will receive your SSDI benefits. Names, addresses, and phone numbers of your doctors, caseworkers, hospitals, and clinics that took care of you as well as the dates of your visits. Medical records from all doctors, therapists, hospitals, clinics, and caseworkers that are treating you. In addition to these forms, you will also need to fill out the application for applying for SSDI. Your SSDI attorney in Milwaukee can help you make sure you have the information required as well as help you complete the required application. Of the forms that you will fill out, one discusses your medical condition and how your disability affects your ability to work. The other form gives the Social Security Administration permission to obtain medical information from your doctors, hospitals, and other healthcare professionals that have provided you medical treatment. How Can an SSDI Attorney Help Me? Your SSDI attorney in Milwaukee, WI can help you obtain SSDI benefits. They will provide you with the information you need to proceed with the application process. You can count on your disability lawyer to file your SSDI application and get you the benefits that you deserve. When you work with an SSDI lawyer in Milwaukee, they will provide you with a consultation where you can discuss your case. You will be able to ask the questions you have about SSDI, and your disability attorney in Milwaukee will provide you with the answers you are looking for in your case. Let your Milwaukee SSDI attorney help secure compensation and medical benefits for your disability. You can get the benefits you need to cover your disability with the help of a disability lawyer in Milwaukee. They can help you with your case and get you compensation for your disability. If you need help filing your SSDI benefit application, contact a Milwaukee disability lawyer. The Milwaukee disability attorneys at Tabak Law LLC can also provide you the assistance you need with filing for SSDI. They know the law for SSDI and will fight to get you the maximum benefits for your disability. Let the Milwaukee SSDI attorneys at Tabak Law LLC help you with your SSDI benefits. Contact us to set up a consultation. We are ready to assist you today.